On this page we consider different valuation methods. Which range from $117,000 to $791,000. 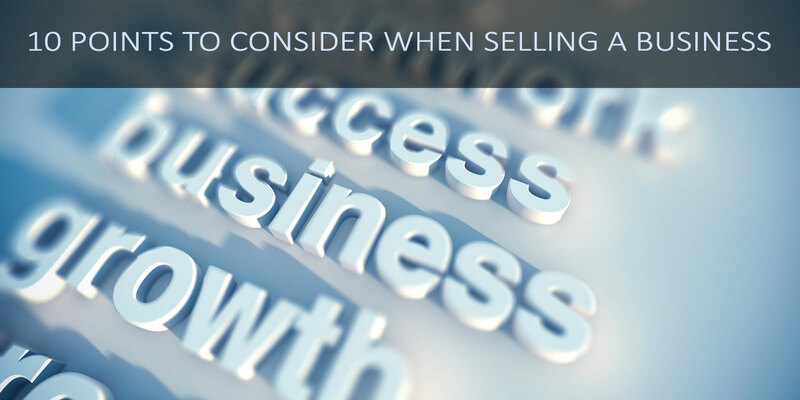 Of all the different valuation methods there are for valuating a business, be it for sale or franchise, the most consistent is simply that a business is worth what someone is willing to pay for it. Assuming the purchaser or franchisee was looking for the best deal, then we will first consider the lowest valuation possible of all methods. Why would one wish to pay the lowest valuation of a business for a franchise? Due to free upgrades to all software Magic Menus, VS Mobile and most importantly the 92 profit increasing features of the Divergent CRM. In addition is the growth in general of the Villa Secrets Network. Given Villa Secrets commitment to creating the software and systems for our franchises to flourish, and an additional V2 website thrown into the package. We feel this is a fair price. seems like a reasonable franchise cost. (A cost that can be made up by a commitment to marketing & staffing the business in the way desire). Using 4 different methods, the average valuation including assets is $700,000. The for-sale price is offers over $230,000. With future software updates, that are costed at $3,000,000 available for an additional $230,000. All Itemised and paid for over 3 years’ item by item, once developed installed and working. However, we will consider offers over ZAR 3,500,000 (£162,000) ($230,000) for the website and business. And the same again for membership in Villa Secrets and all software updates. The later paid for component by component over three years after instillation, testing and training. 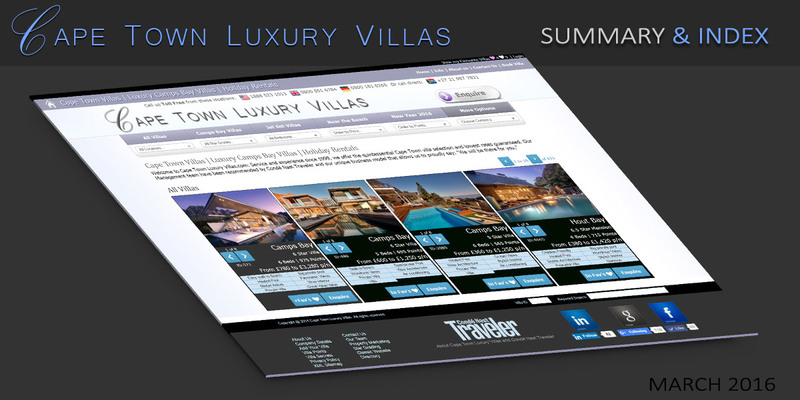 For instance: Villa Secrets Mobile will soon to be one of the best mobile websites for property on the planet. We can add this to Cape Town Luxury Villas.com for R136,955. (£6,350) ($9,020). We are confident that any web development company capable of producing same would charge an awful lot more, for this technology. On the page Cost of VSF Software and Updates and we present prices for all other software items and upgrades adding up to R3,500,000 (£162,000) ($230,000) which is under 8% of the estimated development cost. The Magic of Cape Town Luxury Villas.com is not just in its current website and business, but as much again in the software that will be developed in the following years. Only available to Villa Secrets franchises or members. Referring once again to Aldes Atlantics 10 Points on Selling a business and this time point 3 ‘Value your business’. We are advised that the International Valuation Standards Council, suggest one should value a business by a few different methods and then create an average. However, we could not find specific example in their website, so we looked at top Google results SmallBusiness.co.uk, EasyAccountancy.co.uk & the well-respected Entrepreneur.com, which collectively presented five different ways to value a business. 1. Multiples of shareholder Profit. In this valuation method, one multipoles shareholder profit between 3 and five times, or eight for business with considerable assets or brand awareness. In addition, it is stated that businesses that have a lot of potential to increase profit, including business with new profit increasing technologies in development, would be seen at the higher end of the scale. In terms of new technologies Cape Town Luxury Villas is just at the beginning of a serious investment into improved technologies as is discussed in the Strategic Growth Plan for Cape Town Luxury Villas. And Illustrated in the following pages dedicated to software upgrades that are applicable to Cape Town Luxury Villas. Please note the development of the above, will take three years and is estimated to cost ZAR 45,000,000 (£2,000,050) ($2,900,000) to develop. For a pre negotiated price, paid component by component only after software is working for Cape Town Luxury Villas staff. Cape Town Luxury Villas.com have access to all software updates which suggest a 400% increase in profits in year three. Hence in terms of evaluation of how many years of shareholder profit one should use we have worked on four years. By the time a serious buyer has read through all software pages above, watched the six plus hours of video explaining what the software does, how it increases profit and how much it will cost to make. 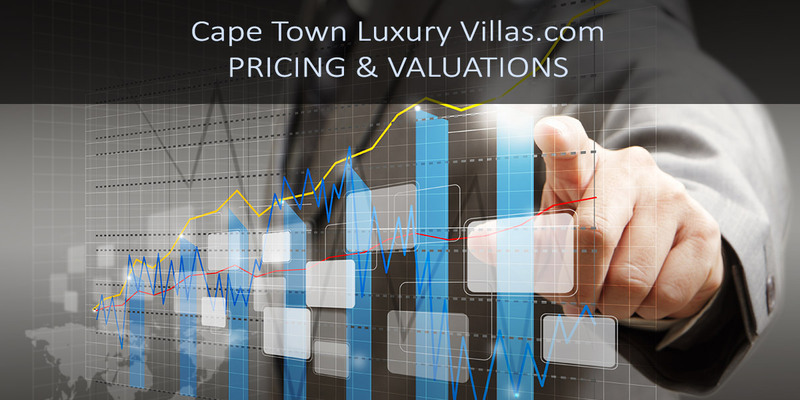 Any future owner will agree Cape Town Luxury Villas.com has a lot of potential to increase profit, and there for should use a higher multiplier when assessing the value of the business in multiples of shareholder profit. The scale of multiples is stated to be between 3 and 5 or 8 for business with potential to increase profit. So a multiple of 5 or even 6 may be considered reasonable. However for the sake of caution we shall use a multiple of 4. The next valuation method is Multiples of revenue, where it is suggesting a business is worth between one and two years it’s revenue. For this we split the difference and worked on 18 months. This method of valuing a business is the sort of accounting that sunk Enron, but as it has been presented by two sources we will include it for posterity, but do not include it within our calculations. It has been mentioned that a company can be valued by its clientele, which in the case of Cape Town Luxury Villas we consider as the quality of its enquiries. Working at an agency rate of R900 (£41) and hour we have put a value to the Cape Town Luxury Villas website, portfolio and software of R2,900,000 if one were to start from scratch, build the website, build the SEO software which generates 25% of enquiries from free searches, make the winning AdWords Campaign and recruit the largest portfolio of Cape Town villas available any ware. 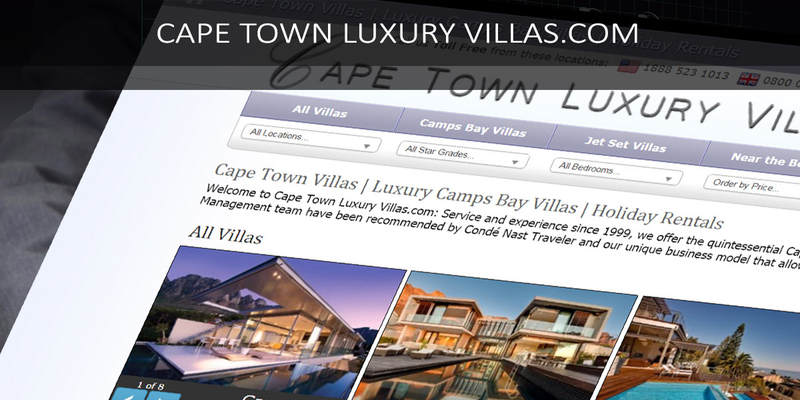 Note the Cape Town Luxury Villas was created from www.CapeVillas.com who have been recruiting properties since 2002. CTLV is in effect the new version of the Cape Vilas.com website and has access to the entire cape Villas property database alongside Razor properties and 150 new properties added since 2014. Soon it will also link and provide online bookings for Nox Rentals, Village and Lifer and Nightsbridge PMS. Now to make a final valuation, we pick all valuations except Warren Buffets and make an average then add the value of the company’s assets. In this document we present such a plan in 2 parts. First is a strategic growth plan that considers the current business and includes Villa Secrets membership & Content Marketing. And second is a plan that considers the effect of using the Villa Secrets software in the development queue: VS Mobile, Magic Menus & the Divergent CRM. First for growth we advise that the future managers either hire their own content writer or purchase one ‘fresh’ article/blog like: Bond House Villa or Pentagon Villa every 2 weeks for R3,500 each. Posts will appear in the Cape Town Luxury Villas blog, which we shall be rebranding as Cape Town Luxury Villas Magazine. Alongside some local SEO that we are currently performing and guest blogging on hi domain authority luxury travel sites, over a year with good content marketing one could expect to double free traffic from Google and Bing. Which currently makes up about 25% of enquiries generating R350,000. For a pay out of R91,000 one could reasonably expect a return of R350,000 and further gains year on year. In addition, the great looking magazine pages such as: Oceana Villa & Maison Noir Villa really impress clients, and improve conversion rates in general. 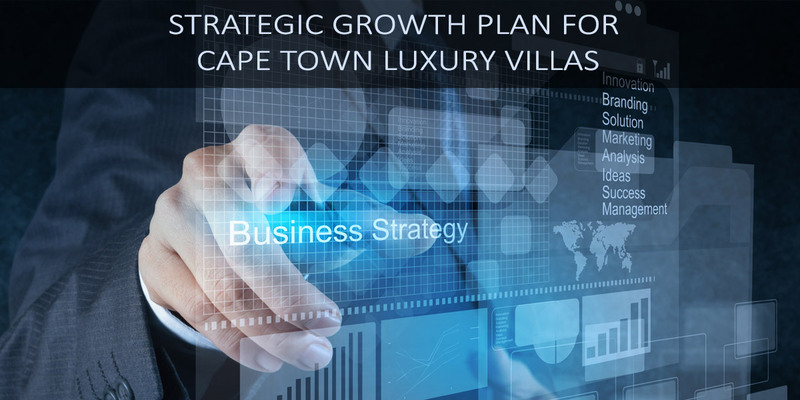 If we go back to the 2014 Cape Town Luxury Villas strategic growth plan www.cape-town-luxury-villas.com/info/ElevatorPitch.html, we see how the recruitment of villa mandates accounted for 64% of the projected turnover. However despite a database of over 400 active villa owners, who may be interested in signing a mandate, the previous management did not make any approaches. We strongly advise the new management to approach and recruit villas to exclusive or part exclusive mandates. This avenue should be a fundamental pillar of any strategic growth plan. Being a member of Villa Secrets, the new management team will be able to offer a Villa Secrets mandate to owners. See updates in the Villa Secrets business blog soon for more on this. As Cape Town Luxury Villas has the largest database of villas, the previous management received enquiries from Agency/Property Management companies such as Cape Portfolios and Sea Sky Villas. This was when they had an enquiry for a villa but had no availability within their own portfolio. If the new management were of a social disposition, one can create growth simply by networking within the Camps Bay villa community. Which is done by attending new villa presentations by agencies and when one has villa mandates signed to create ‘show days’ with drinks and canapés. Another strategic growth option is simply to get more organised and use a CRM, HubSpot at $10 a month per user would improve growth. Salesforce at $130 a month would improve more. However, Villa Secrets is creating a suite of additional functionalities for the above CRM’s that will greatly improve efficiency. 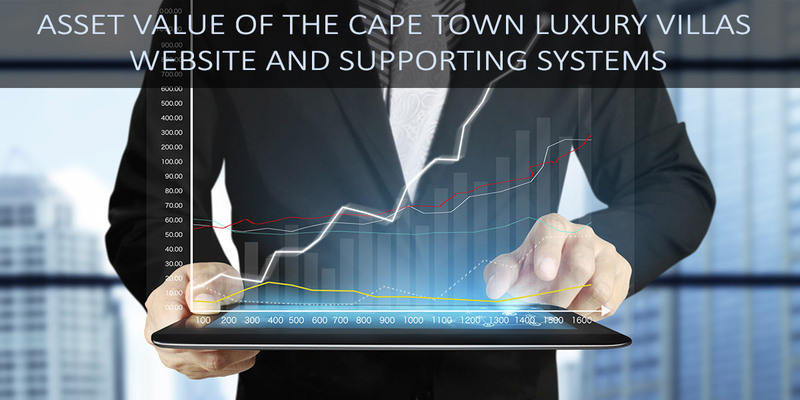 In this, the second part of the Cape Town Luxury Villas strategic growth plan, we consider the benefits of using the Villa Secrets software in the development queue. This is unlike part one which considers only the current Cape Town Luxury Villas website and systems plus an annual R91,000 content marketing cost. There is a cost for installation of the software. Albeit paid in stages, per item, only after successful installation and training is provided. However the software plans are years ahead of their time! This section is very detailed. To start we have descriptions and over 5 hours of video on the software: VS Mobile, Magic Menus & the Divergent CRM. The spreadsheet its summarised on this video. Which also presents a 4 year ‘normalised profit’ projection. As we can see the 92 different actions applied to Cape Town Luxury Villas in the video increase profit from R1,018,950 to R4,225,409 in year three. This includes generous expenses and low estimates. 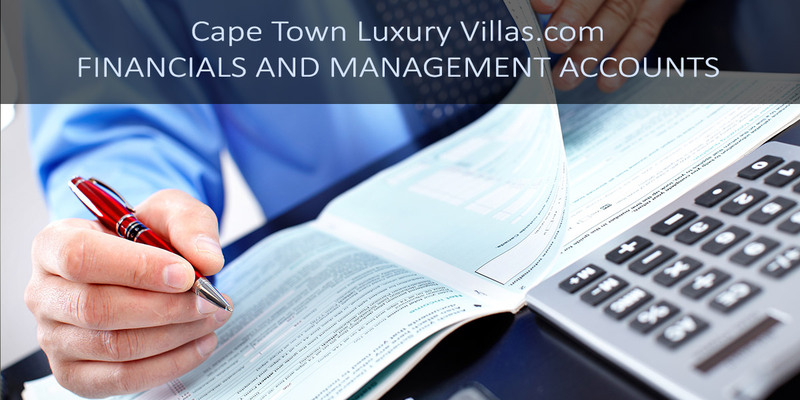 The majority of the increase comes from improving the efficiency of Cape Town Luxury Villas. Currently, about 1 in 30 clients that come to the website make a booking. VS Mobile, Magic Menus & the ‘Divergent CRM’ in its many parts greatly increase efficiency. This added to the recruiting of mandates and additional content marketing and 24/7 live chat is set to increase profitability by a factor of 4. As a prequel we present a blog page about the history of the projects web designer and system architect Nick Ray Ball entitled Nick Ray Ball – 34 years of code. In this introduction we talk mention our senior programmer is Zend certified and we look at 47 different aspects of the design and asset value of the Cape Town Luxury Villas website. In this video we look at the User Interface, sometimes called the front end. Specifically, we look at: The logo, header and footer, then the home and search pages, galleries within the navigation, the navigation and more options dropdown, the villa/product pages, the villas nearby display, the XML sitemap and the about us pages. In this video we look at the CMS, the Content Management Suite which includes options for: Villa search’s, adding villas general details, photos, prices, Google maps positioning, availability, sub menu creation, navigation system creation, the key word phrase organiser & an address book for safaris. New development for Cape Town Luxury Villas, created in 2015 added in 2016. Includes: AdRoll ads, WordPress blogsite integrated into Cape Town Luxury Villas as the start of a significant content marketing strategy to increase links and visitors. Blogs, the creation of many social networks that automatically add posts each time a new blog is created. We are also in the process of adding a new footer including membership of ASTA and PRS, an addition to the home page and new about us pages. In this the last video we present the supporting technologies and organic search engine position seen through Google Analytics. We look specifically at the value of starting with the CapeVillas.com website, which had 11 years of development and consider the advantages of the system architect/webmaster knowing the industry first hand. We also consider the Google Organic search placement and enquiries which Google Analytics shows to be 28% of enquiries and we consider some new SEO applications we are currently deploying. Cape Town Luxury Villas – Franchise or Sale?